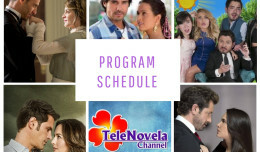 The Two Sides of Ana: Episode 62 | TeleNovela Channel - Bringing you closer to lifes drama. Awake at last, the doctors order Graciela to watch over her health. Humberto reprimands Ignacio as he admits that he killed Marcia and Julia. Rafael thinks Ana is guilty of everything his father and brothers have accused her. Meantime, Irene asks Ignacio to join forces with her to bring Ana down.